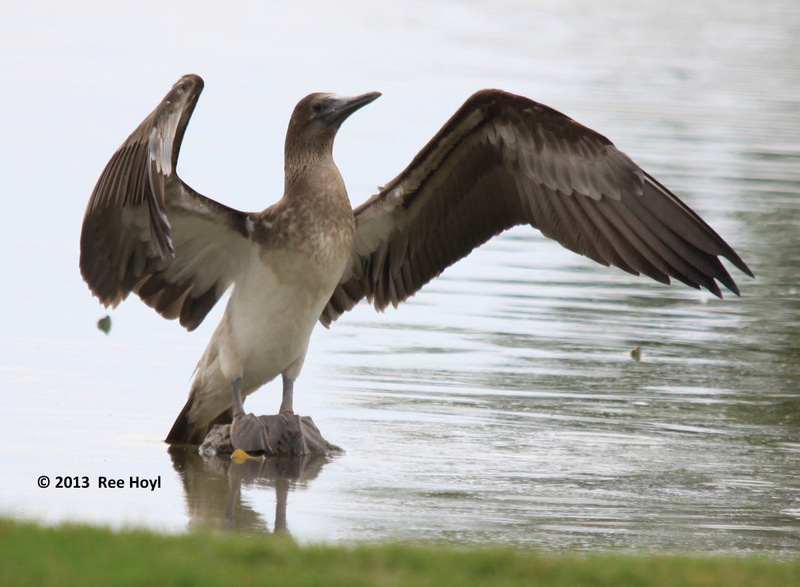 New Mexico’s second Blue-footed Booby (Code 4) was found at Chaparral Park in Lovington on Aug 11. Found by Ree Hoyl, it was on the only lake in the park. Lovington is on the eastern plains of New Mexico. The state’s first Blue-footed Booby was also on the eastern plains at Conchas Lake in August 2009. This species sporadically disperses in the Southwest from the Gulf of California. In the ABA Area, it’s most frequently found at the Salton Sea in California. (I use the term “frequently” loosely. Years can go by without any records.) It’s also been found inland in Arizona. For example, one was found at a small lake, similar to the one at Chaparral Park, near Phoenix in 1996. There are also some coastal records. Blue-footed Booby is a resident of the eastern Pacific Ocean where it breeds on islands of the Gulf of California south to Peruvian waters. It has been a sporadic visitor to SoCal (Salton Sea) and even inland California, and as far north as Washington. It has also shown up in southern Nevada and in southwestern Arizona, and one was at Lake Lyndon B. Johnson, TX, from 2 June 1993 – 6 October 1994 (ABA Checklist, Seventh Edition, Pranty, et. al.). This species makes periodic movements into the ABA Area, “with only one flight year (1990) since 1977”. (ABA Checklist).